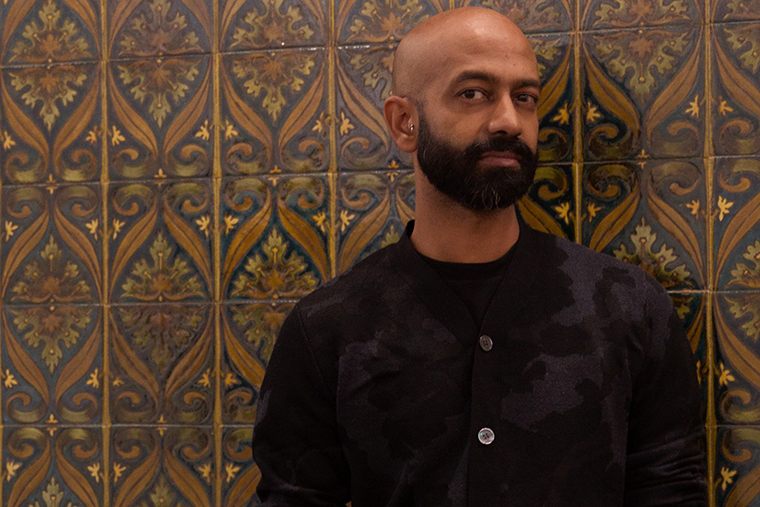 Brendan Fernandes, Graham Foundation for Advanced Studies in the Fine Arts, 2018, Chicago. Photo: Milo Bosh. 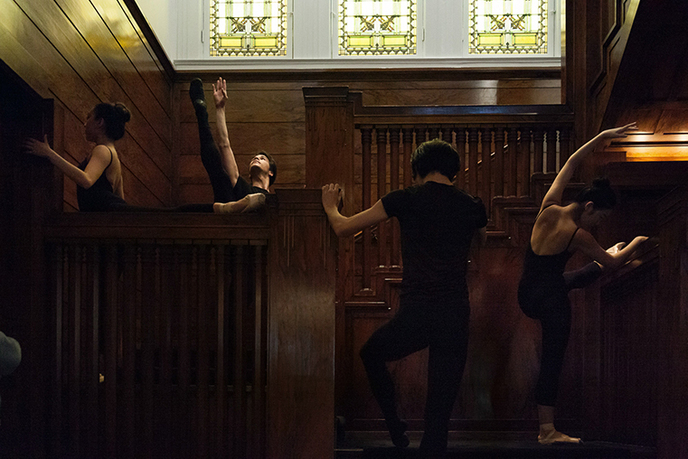 The Master and Form, a new installation and performance series by Brendan Fernandes commissioned by the Graham Foundation, investigates themes of mastery and discipline within the pursuit of form in the practice of ballet. Using objects and an installation designed in collaboration with architecture and design collaborative Norman Kelley, the project responds directly to the Graham’s Madlener House. 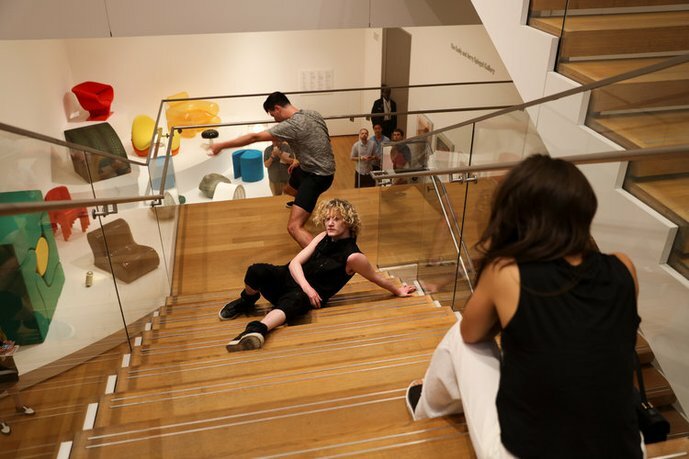 Classically trained ballet dancers activate the objects and space of the galleries making a new site for performance and a dynamic interplay between audience and dancer. Brendan Fernandes is a Chicago-based Canadian artist of Kenyan and Indian descent. He completed the Independent Study Program of the Whitney Museum of American Art (2007) and earned his MFA from the University of Western Ontario (2005) and his BFA from York University in Canada (2002). Fernandes has exhibited widely domestically and abroad, including exhibitions at the Solomon R. Guggenheim Museum, New York; Museum of Modern Art, New York; Museum of Art and Design, New York; Musée d'art contemporain de Montréal; the National Gallery of Canada, Ontario; the Brooklyn Museum, New York; Studio Museum in Harlem, New York; Mass MoCA, North Adams, MA: the Andy Warhol Museum, Pittsburgh, PA; Deutsche Guggenheim, Berlin; Bergen Kunsthall, Norway; Stedelijk Museum, Amsterdam; the Sculpture Center, New York; the Quebec City Biennial; and the Third Guangzhou Triennial in China. 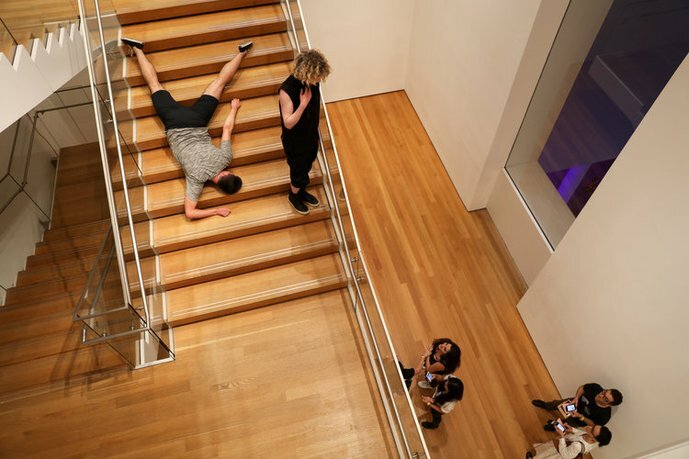 He is currently artist-in-residence and faculty at Northwestern University in the Department of Art Theory and Practice, and is represented by Monique Meloche Gallery, Chicago.